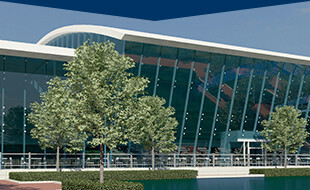 A new and exciting project is bringing healthy, fresh, local produce to GSP Airport. 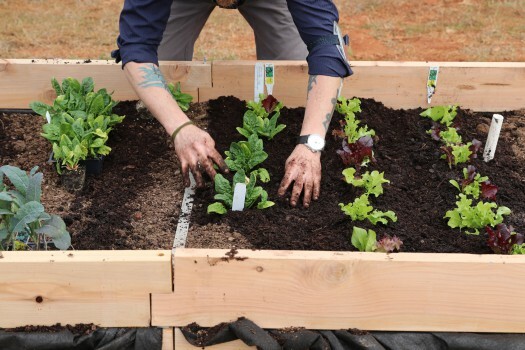 GSP partnered with Delta Airlines, American Airlines and the Transportation Safety Administration (TSA) to plant a community garden that will grow seasonal produce for employees and the community. For the garden’s first planting, garden volunteers planted lettuce, spinach, cabbage, cauliflower, kale, broccoli, carrots, onions, radishes and herbs! The garden “will provide an opportunity for airport district and airport tenant employees to work collaboratively to plant and grow food and thereby encourage healthy behavior,” said Rosylin Weston, Vice President of communications for the airport district. What is grown from the community garden could potentially be used in dishes created and served at the airport’s restaurants. And eventually the garden can serve as a tool for community partnerships with local food banks and other food groups within the community. Check out the 4-by-12-foot raised beds off GSP Drive next to the Facilities Administration the next time you fly GSP! Read more about our community gardens here, and be sure to stay tuned on social media!